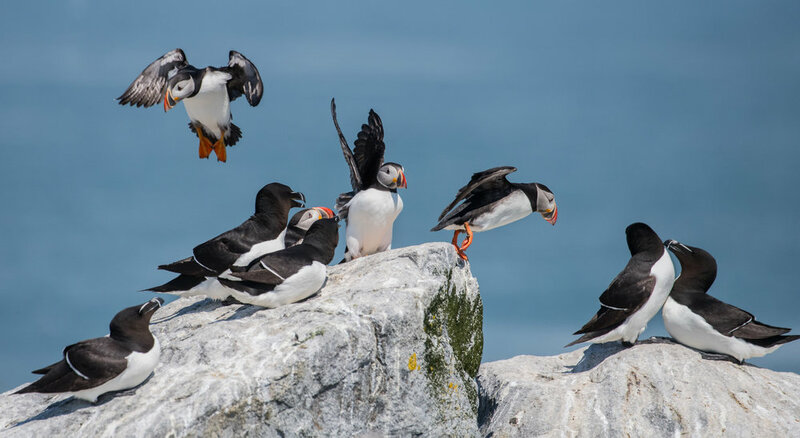 This workshop/tour is an 8 day, 7 night trip to Acadia National Park and to the remote nesting site of Machias Seal Island to see Atlantic Puffins & Razorbills. This trip will be limited to 4 participants (5 at most in certain situations) to ensure everyone has plenty of one on one time learning more about wildlife, landscape and astrophotography. Why this tour? This is an amazing opportunity to see and photograph one of the most beautiful parks in the country in a very small group setting. No other tours/workshops out there will teach you wildlife, landscape and astrophotography all in one. Besides the constant natural beauty in this park, Acadia is also famous for its night skies which I personally will never forget the first time I looked up in this park at night. Having grown up just outside of Philadelphia, it was like nothing I have ever seen! My personal goal is to not charge so much money that no one can afford this trip because I think everyone should have the opportunity to do tours like these if you're into photography and really want to elevate yourself to the next level. That said, Bar Harbor is an expensive area to stay. 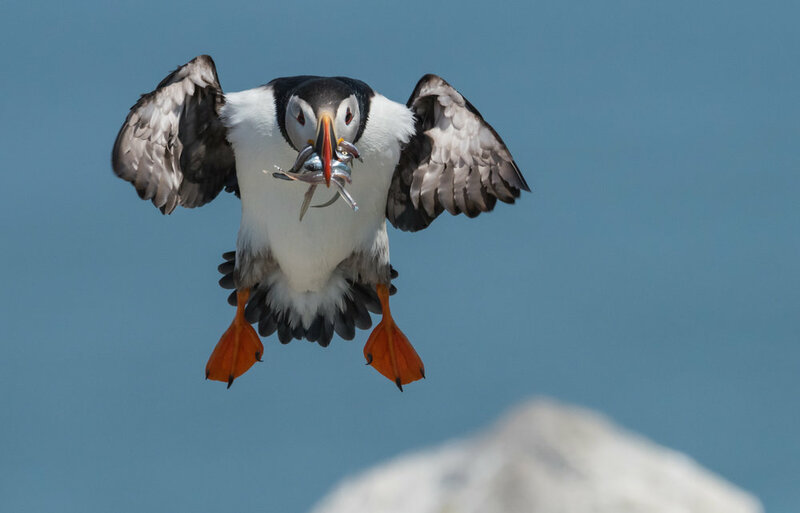 When you add in transportation costs as well as the multiple puffin trips included in this workshop, I think you will see that you are really getting a bargain to have personal lessons all day/every day if you choose, for this entire trip. Most other instructors only offer a few hours a day instruction or do not include lodging and transportation. Over the course of the week we will see and photograph many different aspects of Acadia National Park. We will photograph sunrise, sunset and even the stars/milky way in many different spots throughout Mount Desert Island. 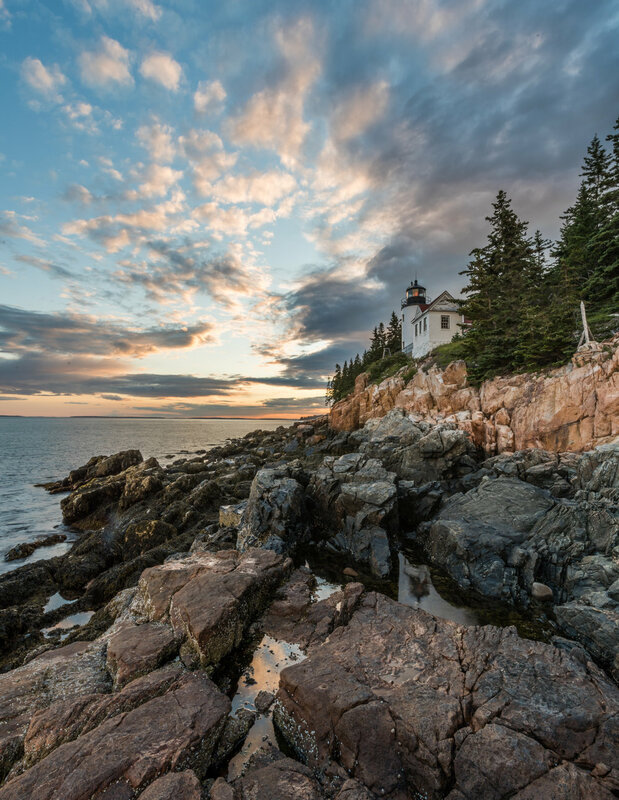 We will visit places like Bass Harbor Lighthouse, Cadillac Mountain, Thunder Hole, Jordan Pond and many more. 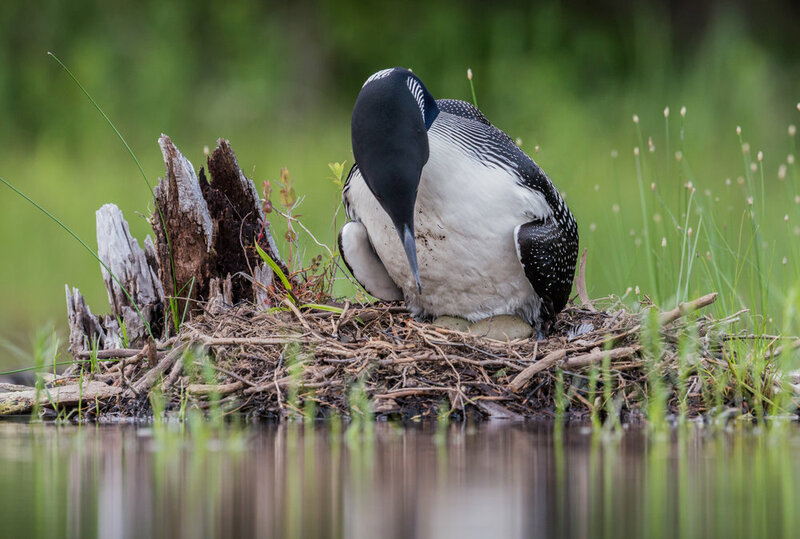 There may also be the opportunity to possibly see wildlife like loons, bald eagles, osprey, many types of songbirds, woodpeckers and barred owls that reside here if we are lucky. We will arrive on Sunday June 2nd meeting at the hotel for a brief meet and greet and overview before heading out for the evening to start photographing the area! We will be scheduled for 2 trips to Machias Seal Island to see the nesting seabirds which includes puffins. Please be aware that these trips are sometimes cancelled due to the weather or sea conditions as the island is very difficult to land on, but the dates will be spaced apart to ensure we have at least one opportunity to visit the island. The boat departs from Cutler, Maine which is a 2 hour drive from where we will be staying (transportation included in the trip) followed by a 50 minute boat ride to the island. Only 15 people are allowed on the island per day from the US and we are limited to 3 hours on the island with approx. 1 hour shooting time from a blind. I have never left the island with less than 1,000 photos and during last years trip there was so much action that I exceeded 2,000 photos, so don't be discourage by the short stay time on the island. There are many opportunities to shoot from the boat and while preparing to enter the blinds as well. Some of the other nesting birds here are razorbills, common murres and gannets. The rest of the week you will see virtually all of Acadia National Park in daytime and under the world famous night skies here. We will depart on Sunday June 9th however we can spend as much of the day as your schedule allows in the park prior to departure. We will also visit the picturesque town of Bar Harbor which is loaded with restaurants and local shops. During any downtime there is plenty to do here. You are welcome to go on your own adventures if you choose. There is kayaking, nature cruises and more....(not included in tour price). What to bring: Camera with a wide angle lens and a zoom lens if you have one. For landscapes & night skies you will want a wide angle lens with an aperture of at least f4 but ideally f2.8. Aperture doesn't matter as much for landscapes as it does for shooting at night. For the puffins anything from a 70mm lens or higher will work as they do come very close to the blinds. I also recommend the Sigma or Tamron 150-600mm lenses for this trip. I personally photograph the puffins with a 70-200mm & 200-400mm lens. My larger lenses do not work well in the blind as space is very limited. For landscape/night photos I personally use a 15-30mm, 16-35mm and 24-70mm lens. There are many options to rent lenses online if you need to. I can assist you with that if necessary. You'll want to bring clothing for warm days and cool evenings as well as rain gear. We don't want a little rain to slow us down! Most importantly you will want decent shoes for light hiking or walking on rocks if you choose to do either. Safety is very important! Tripod - this is a must for night photography and long exposure landscape photography. Laptop if you have one. We will be taking a LOT of photos and I would recommend having somewhere to back them up. I am willing to allow you to store your photos on my external hard drive as a backup while traveling if you do not have a laptop to bring. They will be deleted once you confirm you and your photos made it safely home. I wouldn't want to see anyone lose anything! Laptops are also useful to have for editing lessons but again we can use mine for that as well. What’s included: Lodging: this is an extremely popular area however we plan this trip early to try to avoid the crowds. We will stay in a hotel near Bar Harbor depending on availability. The sooner this tour is booked the better lodging options we have. 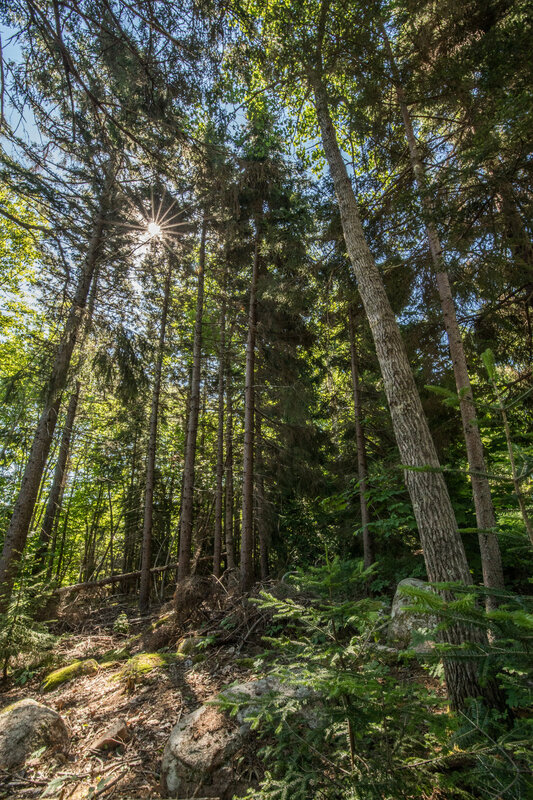 Park fees and transportation throughout the park and to Machias Seal Island are included. You will also learn about landscape and wildlife photography and/or videography from an award winning photographer. There will also be editing lessons in both Lightroom and Photoshop. Whats not included: Flight or travel costs to Mount Desert Island. Food, drinks and souvenirs are also not included in the trip cost. Ideally a hotel that offers free breakfast will be reserved however again it depends on availability. Cost: $2,975.00 USD per person or $2375.00 per person if traveling with someone you will share a room with. Deposit of $1000 per person due at the time of booking that is nonrefundable after Jan 15th 2019 (unless the hotel will refund the cost, costs for the puffin tours cannot be refunded once booked on Jan 1st 2019). All payments are due in full by Jan 1st 2019 as the reservations must be done far in advance to ensure we get some of the very limited spaces to see the puffins. Payment methods accepted are PayPal or personal checks.